Striding Towards Life | A journey means moving forward – we pick the direction. Another week has passed, and overall I have to say I am pleased with the progress of my recovery. The twice-daily walks with my dog are up to three miles each, and we have added a shorter walk at mid-day as well. (I don’t track those on Strava, but they are included in may daily step count, which passes 12,000 most days now.) The routes have shifted out of the neighborhoods and into the business district along the highway, after several incidents where unleashed dogs have attacked us – once it was an enormous Great Dane that leaped out of the garage of a house across the street, another was a massive pit bull that sailed over the door of the convertible he and his owner were sitting parked in (and after I had asked the owner to restrain his dog…he replied, “No, he’s a good boy,” just as the dog was launching himself at us) – I simply do not understand pet owners who refuse to follow leash laws and allow their animals to attack other dogs. In both of these cases is was all I could do to keep my dog under control and prevent her from being mauled until the other person retrieved theirs. I got knocked to the ground and trampled by the Dane, got bitten (slightly) by the pit bull…and got cursed at by both owners for MY dog’s behavior. It’s enough that I am tempted to buy and carry a can of pepper spray – not for the dogs, but for the people!! OK, rant ended; on to other things. Unrelated to running, but related to life, I have finally begun working again. I did one small painting job for an acquaintance at the previous RV park, and had casual inquiries from a couple of other residents there. I left my customer a stack of business cards to distribute, we will see how that goes. Also, I am working bids for two different people here in this park; one of them is the manager, so I may be able to turn that into a permanent maintenance contract (and maybe a discount on my rent, to boot!) So with all of that going on, tomorrow I’m headed to Brownsville to file my DBA with Cameron County, and then to the bank to open a Business Checking account; this gives me the legitimacy that I need to join the Chambers of Commerce here in Port Isabel and South Padre Island, which will in turn open up new avenues. It’s exciting to see the potential I had hoped for actually coming to life!! That’s about all I have to report for now; hopefully by this time next week there will be some RUNNING to talk about 🙂 See you then! End of January, I was headed home after work, when the right rear tire blew out at 85 mph. I lost control, skidding into the dividing wall, rebounding into another vehicle, and finally coming to a stop in the lane I started in. I clambered out the window, walked to the shoulder, sank to the ground, and don’t remember much else until I woke up in the hospital with a doctor telling me I had a broken neck. It could have been much worse – while I was in a great deal of pain, at least I was alive and everything still worked, more or less. A few days later, I went home in a cervical collar, with orders to take it easy (like I could do anything else) and started wondering how all this was going to work out. Despite the accident, we were able to proceed with the sale of the house – my oldest son and a few key friends really stepped up and helped us with packing up everything that we didn’t sell/give away/ leave behind and moving into temporary storage. (Imagine condensing 28 years in a three-bedroom house down to a 10×10 box…we did that!) Next, as planned, we attended the huge Houston RV show and were able to get a great deal on a 37′ travel trailer – it wasn’t the enormous 5th wheel unit we had originally picked out, but losing and replacing a truck put a pretty big dent in our shopping budget; we lowered the bar a bit and still did alright, I think. So far as running goes, there has been none since completing the Aramco Half Marathon back in Houston in mid-January. In fact, it was early March before I could walk more than a block or so without excessive pain in my neck and upper back – whiplash is a real tough thing to recover from, and I was looking at the big picture and not wanting to push too hard, too soon. But persistence pays off…I have been taking the dog for longer and longer walks, morning and evening – we’re nearly up to three miles at a time (you can follow me on Strava if you care to see all the places we go) I do a daily workout, utilizing resistance bands and body weight, mostly focusing on range of motion and upper body/core strength. I have a pending appointment with a chiropractor and massage therapist to work out the remaining kinks. AND…I have a concrete goal – I have registered for the Jailbreak SPI on May 6. It’s a 5K, 20-obstacle race on the beach, and you are allowed to skip an obstacle if you want to. (I don’t plan to skip any, but better to have options, right?) By then I should be in pretty good condition, and I am totally stoked in anticipation. 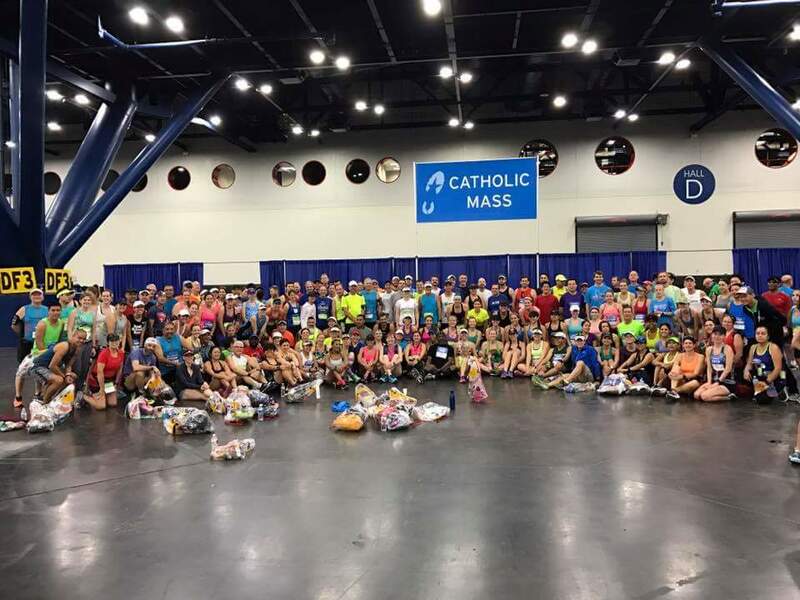 So, moving forward, I will be posting here on a regular basis again, as I recover my running mojo, and discover more about the running community here in the Rio Grande Valley. I already know of a couple of good race companies in the area, although I have yet to make contact. One day at a time is always a good strategy, and as long as you are moving, that is all anyone can expect. Thanks for stopping by, and please…I love comments, and knowing that sharing my adventures is inspiring others as they face their own, so don’t be shy! As I last posted, we sold our house, step one of the Great Reboot of Life we have undertaken. Since then, things have been moving at a speedy clip; furniture being sold/given away, boxes pulled from nooks and crannies we forgot we had, lists being drawn up and crossed off. Then, in a matter of seconds, it all goes into a skid – still moving, just not in the intended direction. The literal skid is the only coherent memory I have from an auto accident I was involved in 5 days ago. I slammed my 3/4 ton truck sideways intro a concrete divider wall, rebounding into another vehicle, and coming to rest in the lane I started in. I somehow got out under my own power, walked over to the wall, and laid down on the concrete. It goes fuzzy for a while, then I’m in an emergency room, strapped to the gurney, being told I have a broken neck. I can still feel and move everything, so I don’t believe them, but they weren’t asking me what I believed, they were telling me what was really happening. After seeing the inside of every piece of imaging equipment there is, they gathered enough to decide I didn’t need surgery (yet) and that it was a “minor” fracture at the C-6 vertebra. Couple weeks wearing a cervical collar, be careful, etc. In all truth I am blessed beyond belief. But what a time for this to happen. Wheels already in motion cannot be stopped easily or cheaply…especially when you don’t really want to stop them. We close the house in 8 days – that is a fixed point. The RV show where we will buy our new home starts two days later. That is another fixed point. We are putting that RV in Port Isabel, Tx and moving into it as soon as we are done with my doctor appointments – that is a floating point, but within a very narrow range, which is still pretty good. Men have built marvelous works by starting out with just two or three fixed points; you just line up the points, pick a direction, and start building. The challenges are real, no doubt – we have no vehicle; I lost a considerable portion of my tools, although I can’t work at the moment (I can just barely make it to the bathroom) so I have lost the last three contracts I was counting on for moving expenses. But we have a storage unit that will hold all we plan to take, and plenty of friends to help with getting it all packed up. I have a lead on a great deal for a replacement truck, and while we may settle for our”safety” trailer instead of the top of the line we want, it will still be new and ours and home. Life keeps happening, we keep moving, things keep changing. Knowing this won’t make you immune, or invincible, but it helps when something gets sideways and skids through all your plans. Nothing stops, it just changes direction. My wife and I listed our house for sale this week ; signed the listing agreement on Monday, went live on MLS Tuesday morning, and sold on Thursday night. Wow. This is the first house my grandfather bought after WWII when he was ready to settle down and make a home for his family. This is the house my father rented to live in when he divorced my mother and kept me -in 1970, mind you. This is the house we shuttered when my grandpa passed away and we went to live with grandma so she wouldn’t be alone. This is the house I moved into when college and marriage proved to be too much to accomplish at the same time. This is the house my daughters call home. This is the house that I brought my second wife, and her children in to when they became part of me. This is the house those boys now call home as well. This is the house I thought I would live in until I died. This is the house I thought I would see my daughter and my grandsons live in someday (or not see, but provide for, to be more accurate). But life is about what happens more than what we think will happen . And what happened is, I sold my house today . Much to do, much to plan, much to avoid as well. Pray for me, y’all , and stay tuned – I can’t do this without you. 3:30 this morning I awoke to rumbles of thunder and the steady splash of rain pouring off the roof into a puddle outside my bedroom window. My first thought: gratitude that the Chevron Houston Marathon and Aramco Half Marathon was yesterday. I have run my share of races in the rain, even had one cancelled due to conditions, but with my imminent departure from Houston (we listed the house today, and my realtor had three prospects already), there is a very good chance that this year’s event was my last time across the finish in front of the George R. Brown Convention Center, and I couldn’t have asked for a better way to go out. Every year I tell myself I’m going to take it easy, just cruise along and enjoy the experience of a 5k with 5000 runners; and every year, the act of pinning a bib and toeing the line triggers my competitive side. Last year I came within a minute of my PR, but such was not the case this time around. I did put a bit more effort than was strictly necessary, as a way to test conditions for a possible PR attempt at the half on Sunday…Let’s just say that I came to terms with the fallacy of that idea around mile 2 and leave it at that, ok? I finished under 30 minutes (my baseline acceptable time for 5k) and left feeling satisfied with my chances for the next day. This was after the race. 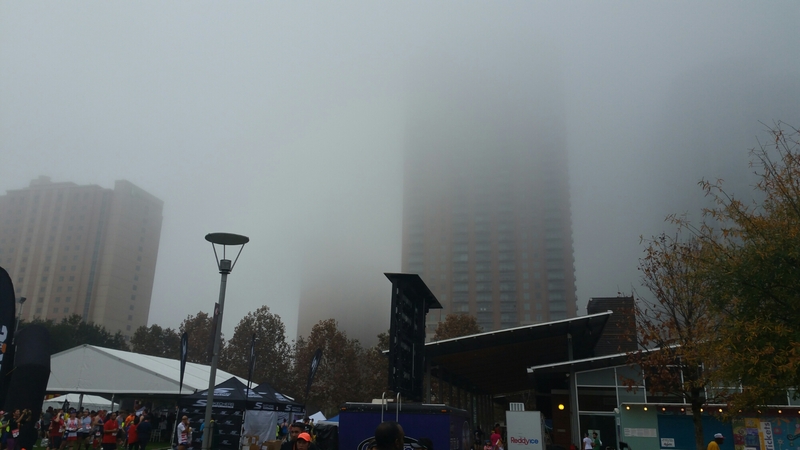 There are tall buildings back there somewhere! Sunday morning’s alarm went off far too early for my taste (maybe staying out until 10 pm at my god-daughter’s Sweet 16 wasn’t the best idea, but some things only happen once) and by 5am I was at the GRB, soaking up atmosphere and energy. Both running clubs I belong to had their group photos, and then off to the corrals! I had registered with a fairly conservative finish time, so I was in D corral again this year. I thought it interesting that the Committee had added a fifth corral, but it was noticeably less crowded than previous years (and much shorter lines for the porta potties!!!) so big kudos for that. As I said in my last post, the forecast was rather warm and humid, and for once they nailed it: 67°, 90% humidity, and a good chance of actual rain as the day heated up. Still, I was glad I brought a long-sleeve shirt for the wait; the wind whooshing between the downtown buildings left me chilled as we waited for the chute to clear. I quickly tossed it to the donation pile as we neared the line , and 20 minutes after the gun I was off! I held a steady, easy pace for the first 2 miles, letting the noise of the crowd carry me along; high fives to the kids waving, singing with the bands lined up along Washington Avenue’s nightclub district, and generally eating up every moment – something I have missed out on in previous years because I was so intent on myself…it made me think again about my motivations, a recurring theme this year. The full and half share the course for about 7.5 miles, and I felt a twinge as the marathon turned off while we continued back towards the finish. (sniff) Fortunately I have run much of this part of the course during training the last two years, so it wasn’t unfamiliar, and the miles just rolled along. My pace had steadily increased but I was running easy; sweating hard but I always carry my own water and refill along the course as I go. At about mile 8.5 though, just as I was wondering if that 2:00 goal might not be out of the question, my old friends Karma and Hubris joined hands and punched me right in the gut. That’s what it felt like anyway, but actually my stomach was finally rebelling – that third gel was probably one too many. Someday I may work out an effective fueling strategy; today wasn’t that day. I walked until I was sure was ok, then set off again, determined to push when I could and walk when I needed to. I’m not a big fan of walk/run, but I recognize the value, and when times are rough you do what works, right? I made it over the line under 2:10, which was my middle goal for the race, and more importantly I made it running, not limping or staggering or lurching as had been the case in previous years. I felt good; no, I felt great, and as I sat in the hall, eating inhaling a plate of eggs, sausage and gravy, I realized that perhaps I’m not cut out for the marathon after all. I don’t feel ashamed of that; I can accept that not everyone can do everything. The secret of success is to find what you can do – what I can do – and then do it as well as possible. I may run 26.2 miles again, but I believe for a little while at least I’ll stick to shorter races, and run without the watch more often, and rediscover the joy I found in the beginning. I won’t call it a resolution – how about a promise instead? While I’m changing everything else in my life, why not that too? As we wind through the final week before this year’s running of the Chevron Marathon and Aramco Half Marathon, the biggest buzz I’m seeing in my Facebook feed is the weather – or, more specifically, worries and complaints about the weather forecast for the weekend. It would seem that Texas is living up to the old saying about how if you don’t like the weather here, give it a minute , it’ll change. A few days ago we had a sudden hard freeze descend upon us; today I ran shirtless at lunchtime and needed a towel -and a mop – by the time I was done. To be perfectly honest, I wouldn’t have it any other way. I know the conventional wisdom says the cooler the better on race day, and for those who were hoping for stellar performance on Sunday, these warm muggy conditions will be a huge letdown. I feel for them, really I do – but the selfish part of me is turning cartwheels at a predicted 65° start and 75° finish, with humidity in the low 90’s. I live in Houston, man, and I train in those conditions (or worse) nine or ten months out of twelve, and do alright for myself. Maybe if I wasn’t skinny as a rail (5′-10″, 130 lbs on a good day) the cold wouldn’t bother me, but I am, and it does. I hurt when I’m cold: hands blue and stinging, up to my elbows if I’m out long enough; eyes watering; every breath tearing at my throat. I get distracted from the business of running because my body is telling me I’m dying. This quickly becomes a self-fulfilling prophecy, as I fall behind on fueling because I can’t get a gel out of my belt, let alone get it open. Hydration is hard too, when my lips are too numb to drink anything. I’m sure I’m not the only one who experiences things like this, but I’ll bet not many enter that zone at 50°! Welcome to my world. If I had to pick one thing that I will not miss when I move away from the Houston running scene, it would have to be the 6-8 weeks every winter when running loses its appeal because of conditions. Yes, I know that treadmills exist ( I tried that one year, and I’m pretty sure the knee pain I struggled through that season was a direct result) and many people will roll their eyes at my little whine festival, but ultimately I have to find my own limits, and either learn to overcome what I can, or to accept what I can’t. They say real wisdom is knowing the difference; I say contrariness is knowing, and going on anyway – and going on is what it’s all about. 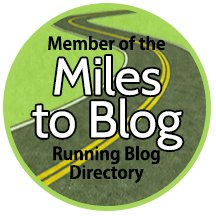 If this is a running blog, where’s the running? 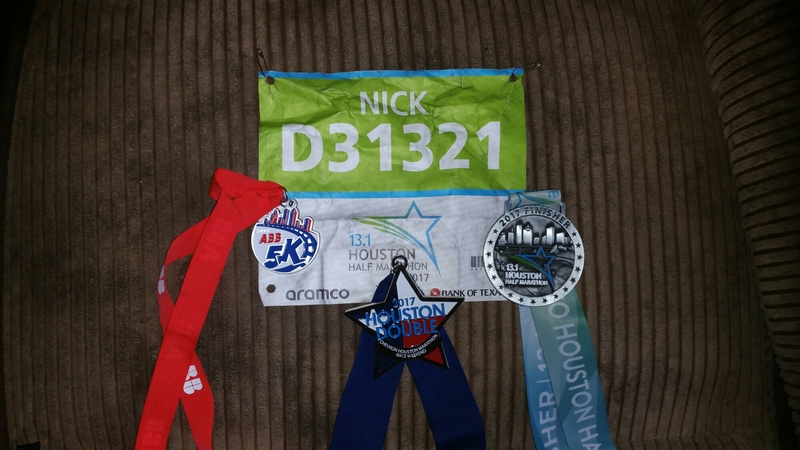 I started running in 2013 with one specific goal: train for a year and then run the Chevron Houston Marathon. Because of that, I now see the third Sunday in January as my own personal New Year’s Eve – the end of the season, the culmination of twelve months of preparation, a goal unto itself. I have run Chevron twice more since then (and one other marathon), but this year it will not be – I dropped down to the Aramco Half Marathon for 2017 just a few weeks ago, and I’d like to talk about why. 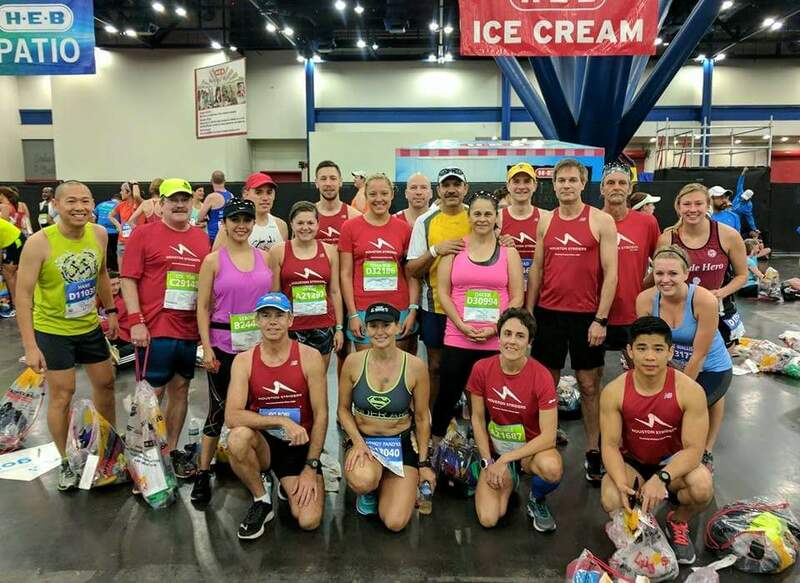 Through spring and summer I run alone, generally; most of my time goes to serving others, and running is essentially my only private space to think (or not think, as the case may be); but once fall approaches I join up with Houston’s Runners High Club for their 18 week marathon training program. They have a fantastic group of volunteer coaches, pace-specific groups, the works. For last year’s marathon I trained with the 4:15 group, and qualified for “A” corral. My coach and I ran together, and for 17 miles we were step for step, perfectly on pace – and then my wheels fell off, and I barely beat the 6-hour cutoff, collapsing into someone’s arms as I fell over the finish line. It was the worst race I ever completed, eclipsed only by a catastrophic DNF due to GI issues at my first and only attempt at a 50 mile ultra. In the wake of such a disappointment, I resolved to train smarter, get stronger, and redeem myself this year – and then life started happening. I took about a month off after the marathon to heal up the damage I had done by refusing to drop, and slowly began rebuilding my base as spring came along. However I was still adjusting to being self-employed, with erratic hours, lots of travel, and less money than I had been accustomed to having. Running took a back seat to other things, and I found myself falling further and further away. Then, in June I re-aggravated an old back injury, and running went completely out the window for 6 weeks – heck, I could barely breathe some days. Just when it seemed I could rejoin the club and get back on track, my dad’s health turned for the worse, and he passed away at the end of July. The next month was a blur, and before I knew it, September had arrived, and I felt I was quickly running out of time to prepare; my best year of training had yielded such awful results, so I had huge reservations about the prospect this time around. Don’t run at all, and let the time and money already spent go for naught. Go ahead and attempt it, knowing it would end in a miserable death march, IF I made it to the finish. Drop down to the half, which I was certain I could complete without crippling myself, and enjoy the experience instead of suffering through it. When you lay it out like that, the correct choice becomes obvious, and that’s what I decided. I’m still not in prime form, but I know I can run at least 2:30 next week, maybe even a bit faster if the cards fall right. What happens after that remains to be seen. I’ll be moving away from Houston and everything I know. I may or may not come back next year to run Chevron again; there are some very well-run events in the Rio Grande Valley that occur around the same time; I believe the McAllen Marathon is held on the same day. Whatever the future brings, I know that I will meet it by running towards it, not away from it, and for now, that is enough. So many changes…where to begin ? As I alluded to in my last post, nearly every aspect of my life is in flux. Now, change is not a thing I am entirely comfortable with; like many people I enjoy routines and consistency – there is a kind of peace in knowing what tomorrow will (probably) bring. The flipside is that routine can become rut, consistency can become complacency , and boredom lies waiting in the shadows to devour our joy in life . Who wants that? So I accept that change is a necessity in life, ok fine. I also accept that we are not entirely the captains of our own destiny; so much of what we do depends on what others do. Within that frame, however, I believe it is imperative to sort out the choices which are available to me and then make the best use of them I can. It’s an ongoing process, as each choice we make opens up more possibilities and removes others (you can’t have everything) and sometimes that is the hardest part to wrap my head around – the job is never done, and everything is connected to everything else . Which is a whole lot of words to say that no single decision came first; “holistic” is probably not the exact word, but you get the idea. Next time I’ll walk you through some of the process, but for now I’m headed out for a quick run – it’s only 10 days until I run the Houston Double Challenge: ABB5K, then Aramco Half Marathon. I’m terribly out of condition but not so much that I can’t complete both in respectable times. More on how I got here, too. See you soon! Out with the old, in with the new…everything! Four years ago this week, I published my very first post on my new running blog – my first step toward embracing an entirely new and different way of life. The goals I listed that day have mostly been met, but along the way I learned that reaching the goals does not end the journey...so new goals are always necessary. That is the spirit of the Resolution – an effort to examine past performance, assess current situations, and set new goals. We tell ourselves we’ll be better this year, and sometimes we even succeed. (Just making it to another year ought to count for something – so many didn’t.) So this year, I decided to go back to things that worked before and see if they still work. Blogging was a way to think out loud about my life and my choices, and it served me well, until I “got busy” and abandoned it. Let’s just say, I got un-busy. I’m still running, sort of; I plan to run the ABB 5K and Aramco Half Marathon in two weeks as my farewell to Houston. I dropped from the full to the half this year because I’m in nowhere near the condition I need for 26.2 miles. I’ve been slacking even at that, so the next two weeks are about just not embarrassing or injuring myself at the races. I’ll be posting about that. My wife and I are selling the house, buying a luxury RV, and moving to our dream home in the Rio Grande Valley. This has been in planning for two years; my father’s passing this summer was the trigger event. Nothing else holds me here in Houston, and Karen has two other sisters who care for her mom already. Why wait until I’m too old to go where I want to be? In truth, everything I have ever known or done is here, so I am excited, and just a little scared, but I’m going nonetheless. I’ll post about that, too. The appearance and pages are being reviewed, but all previous content will be preserved. I hope to have all this finished fairly soon; if change must occur, better to get them done. Thanks for stopping by , I hope to have something new semi regularly . See you again! I began this blog on a New Year’s Eve, so it’s only fitting to relaunch on the same day . Watch this space, things have changed a lot , and more still to come .